Today is the very last day of sunshine for a while here in California. A storm is brewing, promising much needed rain. I wanted to wear one of my very favorite dresses one last time for the season. 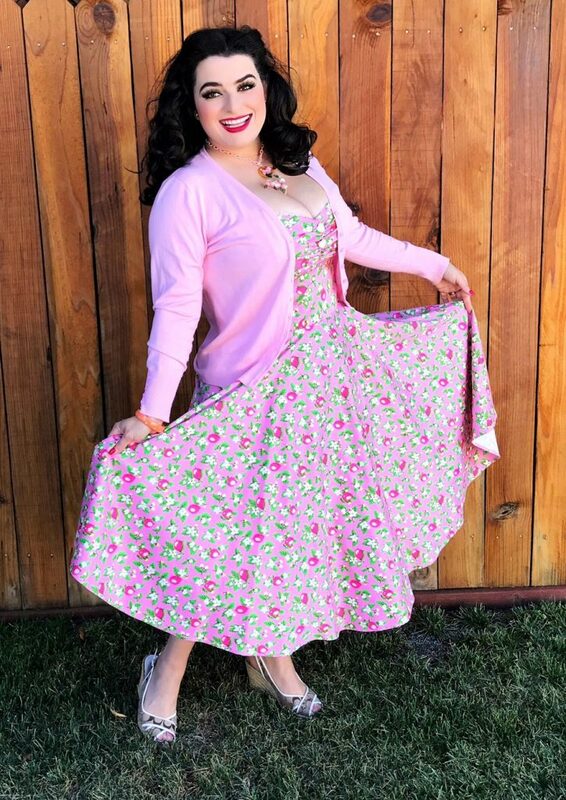 This is the Nancy dress from Pinup Girl Clothing in Pink Lemonade print. Pink is such a feminine color, so cheerful too and perfectly Pinup. What I like about this dress is that it is a nice longer length, has adjustable straps, a shallow sweetheart neckline that is trimmed with a lace ruffle. There is also the added touch of two decorative heart-shaped buttons. The pattern is a lovely pink color with pink lemons and green leaves and perfectly named ‘Pink Lemonade’ print. In these pics taken by my sweet hubby Gary I am wearing my Nancy dress in Pink Lemonade with a pink cardigan. The dress is light but has a good weight to the fabric and does not wrinkle easily. I feel very pretty and put-together when I wear this and I receive so many compliments. Twirling in this dress is a lot of fun too!! 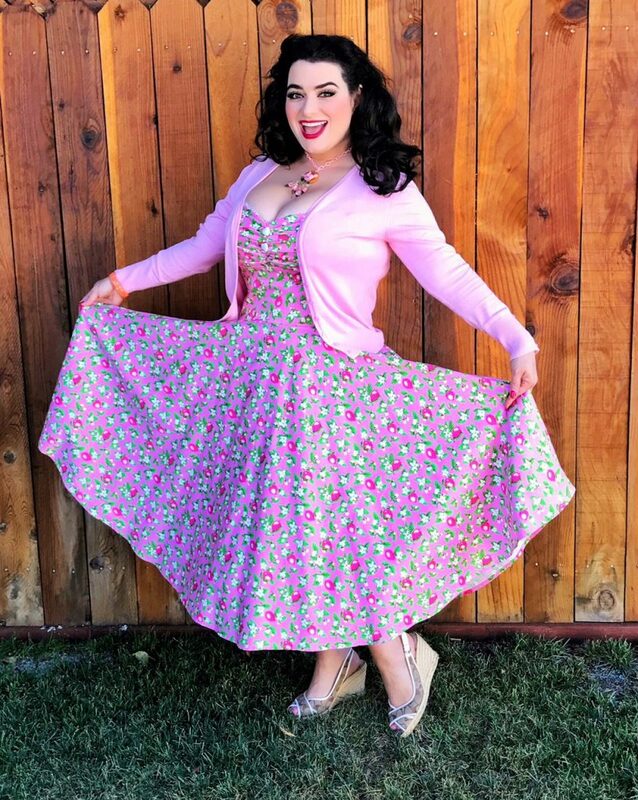 The public responds so genuinely with smiles and compliments when they see someone dressed in pinup style. 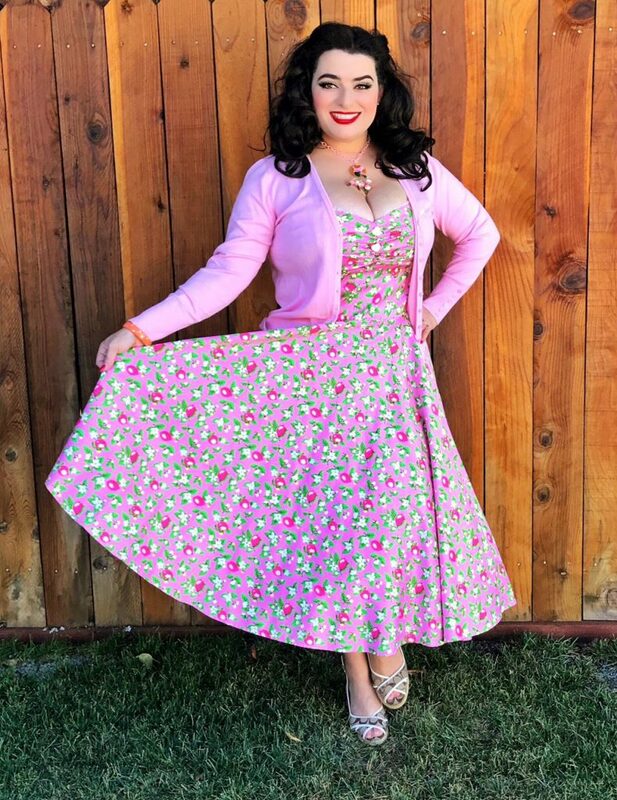 Halloween Pinup style coming next on the blog so stay tuned for pics of me and Luna and a trip to the pumpkin patch wearing our Halloween themed outfits! !